This week on the podcast Jason and I break down season 8 episode 3, “Monsters”. I enjoyed this episode, but feel like the show is starting to repeat itself thematically. Tune in, and let us know if you agree! Please use our Amazon links during the month of November. All the money generated will be donated to the Canadian Cancer Society! Hi, can you comment about the lack of Maggie’s showing pregnancy. C’mon. wouldn’t she look a bit different….in fact it looks like she lost weight. Am I confused with the show time? its hard to tell how much time has passed in this show – no change in clothing, no representation of seasons…etc. but it sure seems like Maggie should look pregnant. 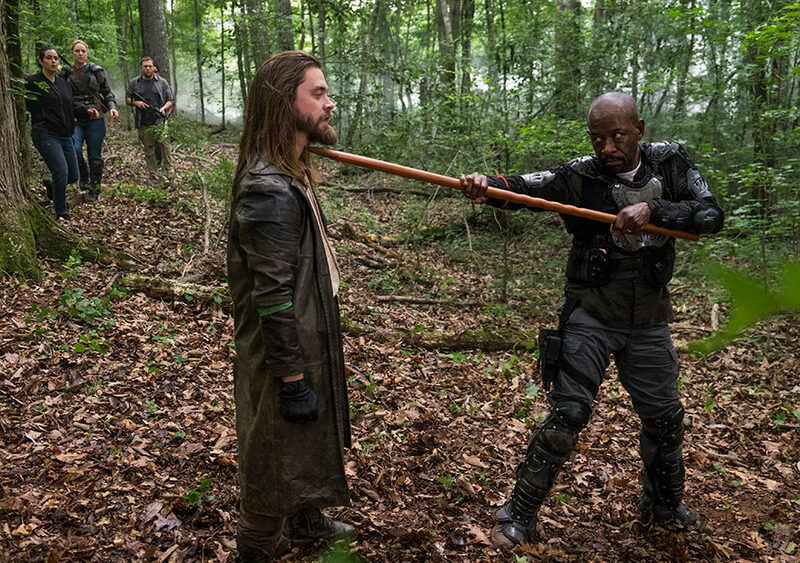 Rick didn’t mention T-Dog or Sophia to Morales either.